Climbing Ice Lakes for the first time in July of 2013, I found that my heart began to soar again high above the trees and dope little mountain towns below. It had been 6 years of failed attempts to get pregnant that drove me into a state of despondency and depression. 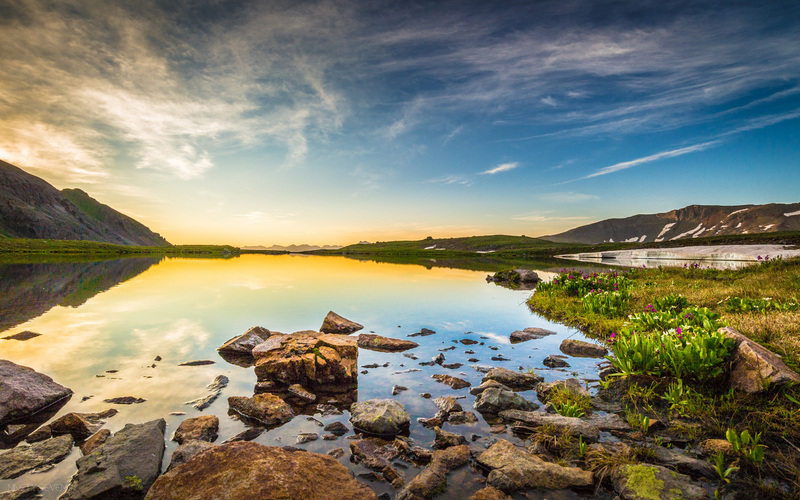 This awkward state of mind illuminates those deep-seeded questioning of, “where do I belong?” and “what the hell do I do with my life?” It was there, at Ice Lakes, that the rocky mountain high infected my heart and permeated itself through every core of my being. 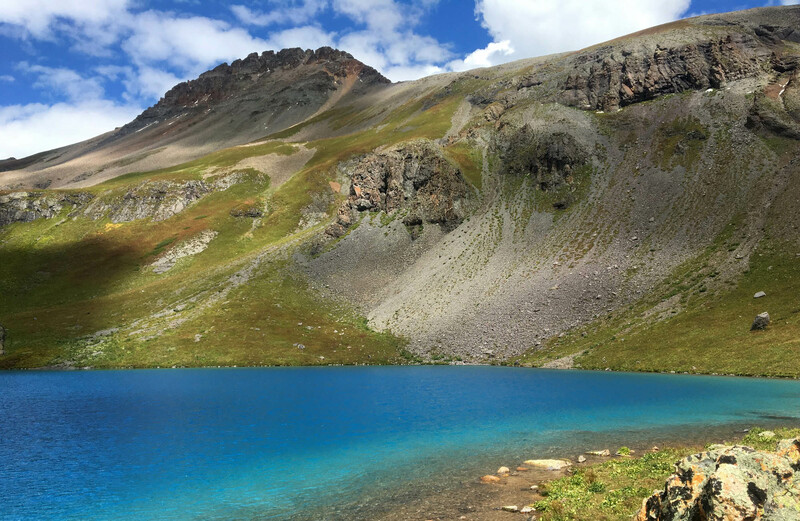 Located just outside of the tiny mountain town of Silverton, CO and nestled at 12,274 feet, Ice Lakes is a short, but challenging climb full of raw beauty and inspiration. The trail begins in a forest of thick firs and rich soils. The smell is effervescent and sweet awakening the senses as my heart rate rises. A waterfall rushes over the remains of a mining culture that once prospered in the area. 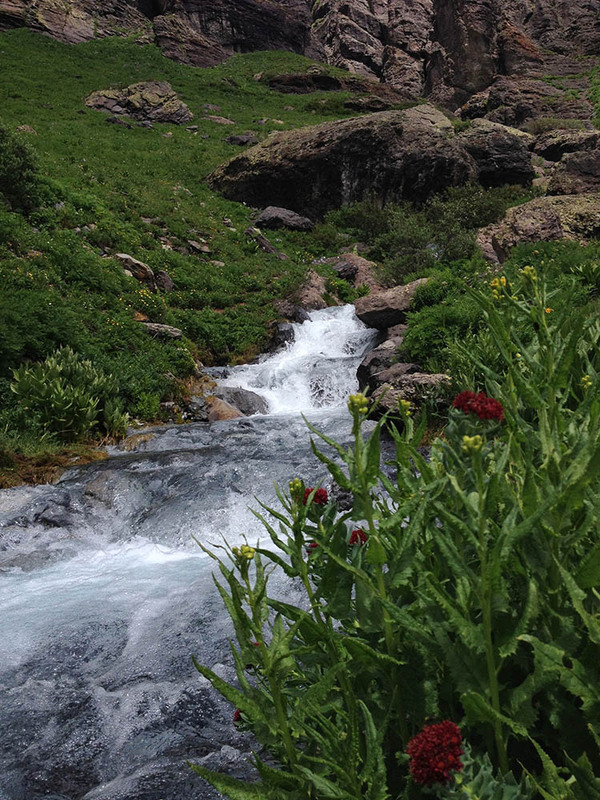 The water beats down on the path below with rage, yet seems soft and nurturing. 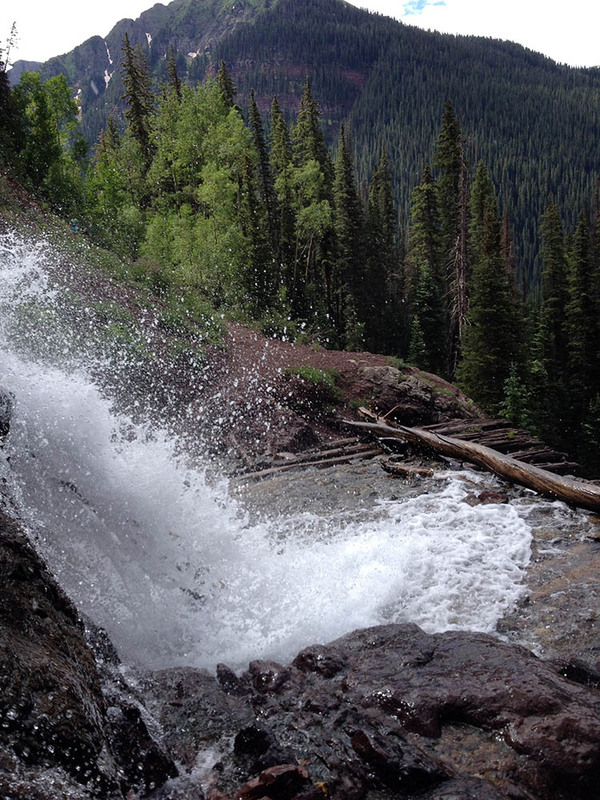 The waterfall seems so free and flowing engaging me to plow through her waters on my way up the trail. My sneakers are drenched after a failed attempt to cross its path with grace, but the cool water tickles my toes and seems to add motivation to my attempt to run the gradual switchbacks of this shady forest. I just adore the feeling of wild water on my toes! After grinding steadily for about a mile, my eyes are flooded by a sea of aspen trees with their round leaves glistening in the sun. They seem to wave at me as I pass them by directing me forward to the space where they no longer grow. The trail takes me higher, into alpine meadows of wildflowers painted in oranges, purples, pinks, yellows, and whites. 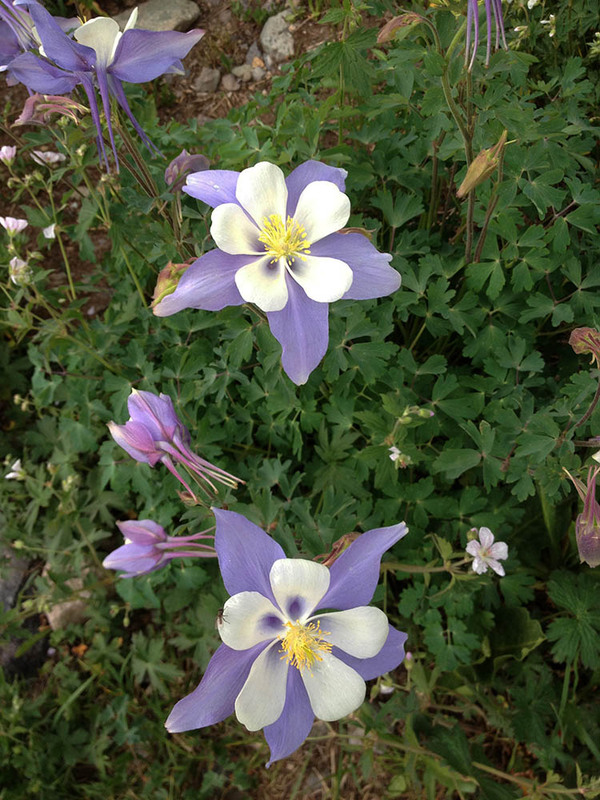 Colorado’s state flower, the columbine, is my favorite with its delicate pedals and ability to grow in such a rugged environment. They seem fearless, yet fragile and encourage my attempt to run at this altitude. Alas, my body is drenched in sweat as my legs run as hard as they can until the lack of oxygen forces them to a slower, more controlled pace. 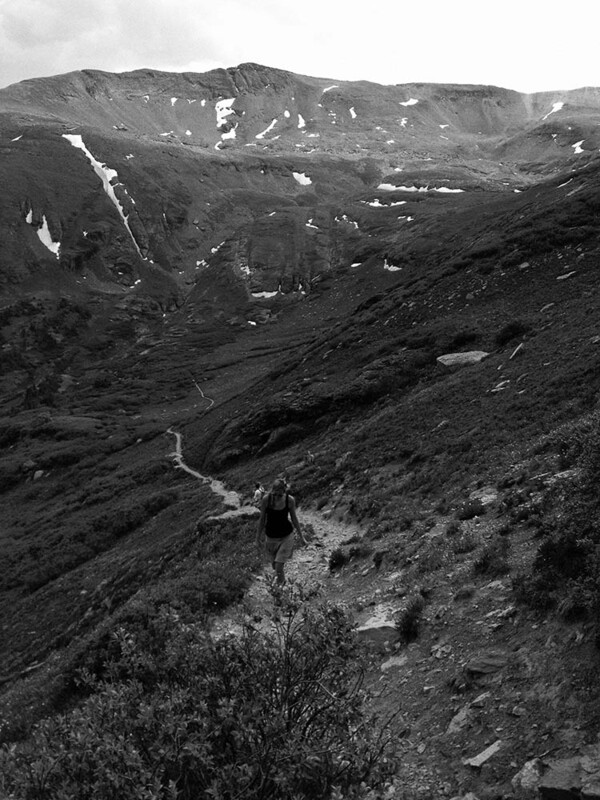 Somewhere around 11,500 feet, the trail climbs to provide epic views of the San Juan Mountains. Chubby marmots bark to warn their homies that visitors are near. These little furballs are well fed and, somehow, quite intimidating! They live in a basin so gorgeous and vast that it is hard to put into words. I stop to soak it all in and wonder how many people on this planet actually get to live and breathe in this massive life and I feel eternally grateful. I cross a few more creeks with a color of aquamarine blue that is so clear that you can’t help but just walk through to allow your feet to absorb such purity. At this point, it’s just a short, though steep, distance to the lake. The views get better as the climb unfolds, which gave me a reason to stop and catch my breath. The brilliance of the San Juan Mountains appear the higher I climb, unveiling the layers upon layers of mountains behind each soaring peak in front of my eyes. There were seas of more peaks rearing their summits above it all. It was then, just when I thought my heart and eyes would explode with joy that I popped up over the edge and saw Ice Lakes for the first time. 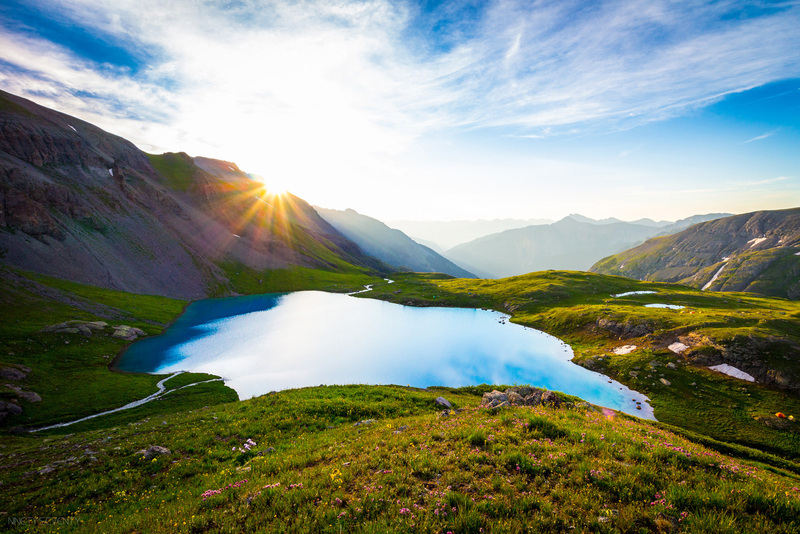 Ice Lake is surrounded by huge, rugged peaks that stand about 13,000 feet. She is hugged by them, almost protected and hidden for only those willing to make the effort to enjoy. My eyes fill with tears and my heart feels like it may explode at the mere sight of this natural beauty. The blue is crisp and clean. There are wildflowers hugging her shore. Random boulders lie by her, inviting you to sit and worship the isolated, untouched beauty that is Ice Lake. It is at this altitude and above treeline that I have found where I belong. I feel free like the waterfall and delicate, yet fearless like my favorite flowers. Clarity sweeps over me like the clear waters of the creeks below and I feel as rooted as the Aspens soaking up the sun. Sucking in the thin air feels more deliberate and supportive. Breathing is such a gift so, I indulge in the breath as if it were my last. Because every day is a gift. We all have our stories and disappointments, but it’s our ability to choose how we respond that makes life so sweet. The answers to my questions, “where do I belong?” and “what the hell do I do with my life?” may not have been answered completely, but I found direction and peace that day with Ice Lake. Colorado is where I belong. 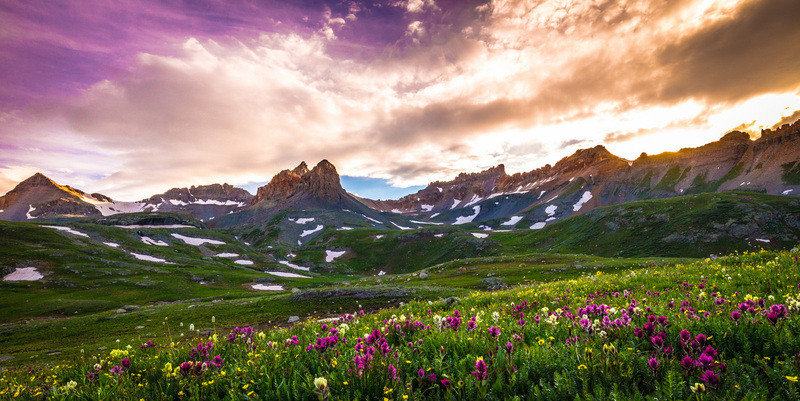 Adventuring in the mountains, breathing in the air where wildflowers paint the horizon and jagged peaks beg to be explored is where I will BE.